What's worse than being stranded in a small town in northern Wisconsin? Being stranded during the worst winter in recent memory. Claudia Alexander's problems are piling up faster than the snow on Lake Superior's shore. 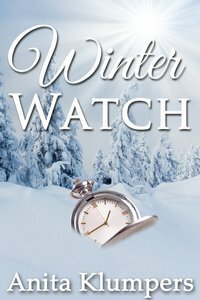 Her noble mission to find the owner of an old pocket watch is complicated by incessant snowstorms, a mysterious vandal and the appearance of an old flame. The local dogcatcher, a blind street preacher and an arthritic bloodhound come to Claudia's aid. A promising romance warms up even as the temperatures drop. But something evil is at work in Barley. As another blizzard approaches, so does a killer. Claudia must choose between her mission and saving the lives of the people she has come to love. Even if it means losing her own.